Universal smartphone stand with G Clamp bracket. 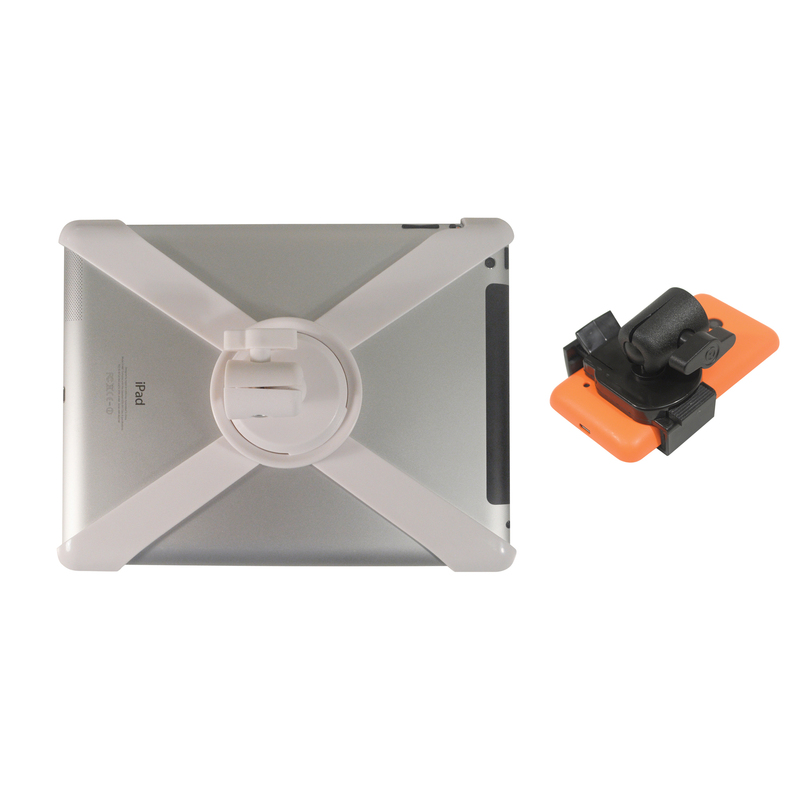 Suitable for standard iPads (Not Mini or Air Models) and smartphones 54-96mm. 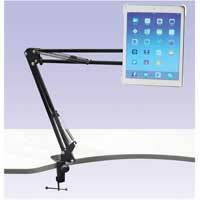 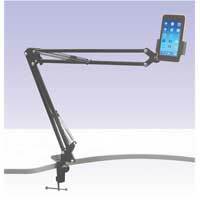 The product clamps firmly on to your telephone via the robust adaptors provided and the articulated bracket allows the product to be rotated through 360 degs and also has further adjustment for height, tilt and reach allowing your device to be viewed from just about any position you'require. 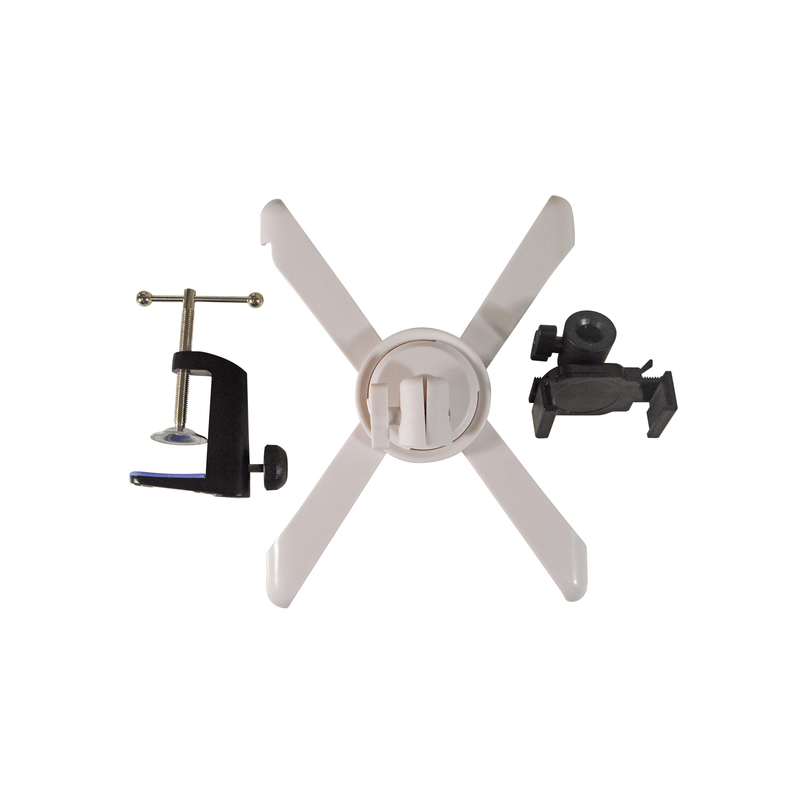 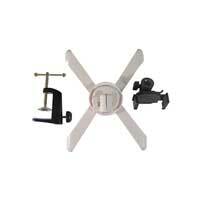 The G clamp bracket mounts onto smooth flat services simply and easily.